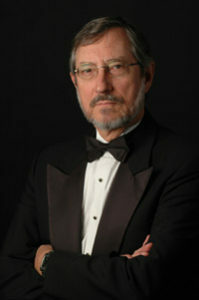 Beginning in 1999, John Erwin has served as the Artistic Director and Conductor of the Arkansas Chamber Singers. 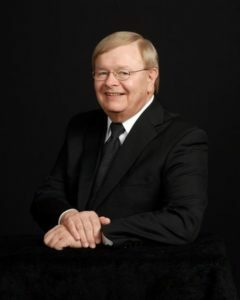 Since 1975, he has been the Director of Choral Activities at the University of Central Arkansas conducting the Award winning UCA Concert Choir and UCA Chamber Singers. He has received the UCA Faculty Excellence Award, and in 2008 Professor Erwin received the Governor’s Award for Artist of the Year from the Arkansas Arts Council for the state of Arkansas. Choirs under his direction have performed for 2 national ACDA Conferences, 9 ACDA Southwest Division Conferences, and 7 Arkansas All State Conferences. In addition his choirs have sung for the national conventions of MENC and MTNA. The UCA Concert Choir won the Great American Choral Festival and was awarded two gold medals at the Riva del Garda International Choral Competition in Italy. In addition to conducting choral ensembles Professor Erwin teaches Choral Conducting and Graduate Choral Literature. For 10 years he served as Southwest ACDA Chair of the Repertoire and Standards Committee. He has directed numerous All Region and All State choirs. He lives with his beautiful wife Patricia in their home on the Arkansas river in Little Rock that they share with their wonder dog Chet Atkins Erwin. Robert Lindley, a native of Arkansas, attended Arkansas Tech as a saxophone major in instrumental music education. He later graduated with Bachelor and Master of Music degrees in applied organ from the University of Texas at Austin. Before coming to St. James United Methodist Church in Little Rock, Mr. Lindley served as Organist-Music Associate at First Baptist Church in Pine Bluff, Arkansas, also, at Thalia Baptist Church in Virginia Beach, Virginia and at Brentwood United Methodist in Nashville, Tennessee. While in Pine Bluff, he served as accompanist for the Pine Bluff Chamber Singers. In Virginia, he was also accompanist for the Virginia Baptist Male Chorale, and served as Dean of the Tidewater Chapter of the American Guild of Organists. He is currently the secretary for the Central Arkansas Chapter of the AGO. Prior to joining the Arkansas Chamber Singers, Lisette served as administrative assistant for St. Louis Cathedral Concerts, St. Louis Archdiocesan Choir with a membership of 75 singers and St. Louis Cathedral Basilica Choir with 35 singers in Missouri. She helped with planning two trips to Europe for the choirs, managed the day-to-day operations of the choirs and was in charge of all ticketing operations of the Concert Series for five years. 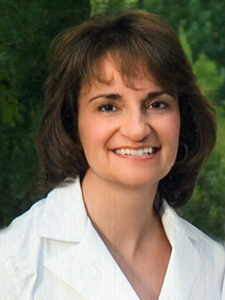 Lisette has been executive director for ACS for the past 13 years. Currently , in addition to her duties as Arkansas Chamber Singers Executive Director she works as an independent web designer and graphic artist for non-profits. Lisette has been a life-long singer with experience singing in various choirs in Ohio, Missouri and Arkansas.